Kit does NOT come with PFG Large Retractable Landing Gear! 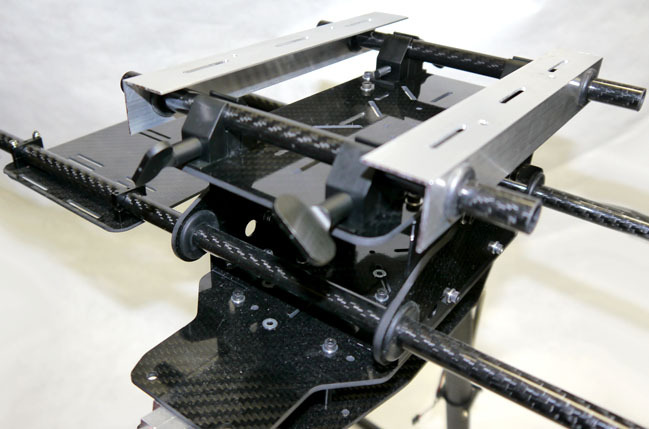 For use and to be attached to your Phoenix Flight Gear CarbonGear Carbon Fiber Large Retractable Landing Gear. This quick release kit will allow you to mount / dismount your retracts and gimbal from your drone in minutes. Attach the brackets and rails to the bottom of your airframe and the high grade lightweight aluminum clamps to the top of your Phoenix Flight Gear Large Retracting Landing Gear. 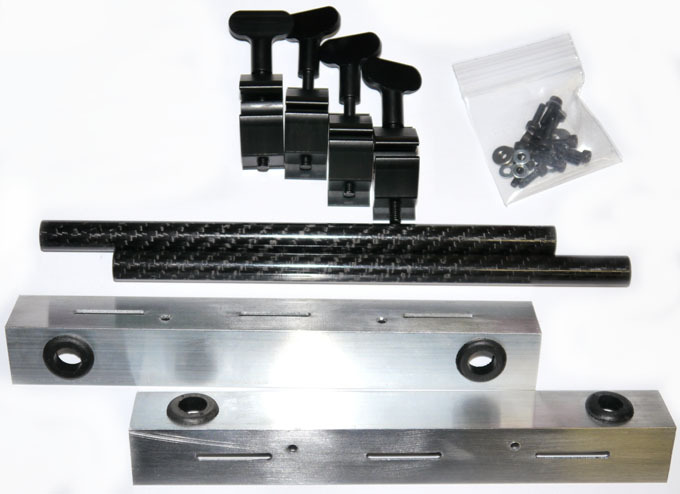 There are three slots on the mounting brackets for mounting to a variety of frames and, holes to secure directly to the battery standoffs on your Carbon Core frame. This kit can also be used for just about any gimbal / landing gear where quick release is needed.